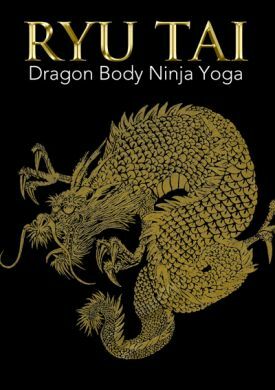 If you've had the opportunity to practice Dragon Body Ninja Yoga with An-Shu Rumiko Hayes, then you know what an amazing experience it is. This new approach to yoga aligns your natural energies to maintain optimum health and vitality. Years of impact cause accumulated damage from toxins, stressful living, and wear-and-tear. You can stimulate your body's three purifying systems of lymph, blood circulation, and digestion using Ryu Tai's scientific system of gentle twists, stretches, and pressure point exercises to enhance, restore, and regenerate our health, suppleness, mental clarity, and longevity. This 60-minute practice, led by An-Shu Rumiko Urata Hayes, includes follow-along instructions and explanations of specific benefits. An-Shu Rumiko Urata Hayes has dedicated her life to the eastern teachings of self-defense as well as health of body, mind, and spirit. Together with her husband, An-Shu Stephen K. Hayes, she travels the world teaching these centuries-old technologies in their quest for the betterment of human kind.